We're lucky to be located close to the beautiful town of Yountville, in the heart of the Napa Valley. It's a short five minute drive or 20 minute bike ride away and once there you can experience some incredible wine tasting experiences. With so many options to choose from we hand-picked a selection of Yountville wine experiences to get you started on your perfect day out wine tasting. We think its best to start the day with bubbles so a visit to Domaine Chandon, a Napa Valley pioneer, is an absolute must. Founded in 1973 by Moet & Chandon, this bustling experience expresses the French heritage and innovative American spirit in a seamless and vibrant occasion. 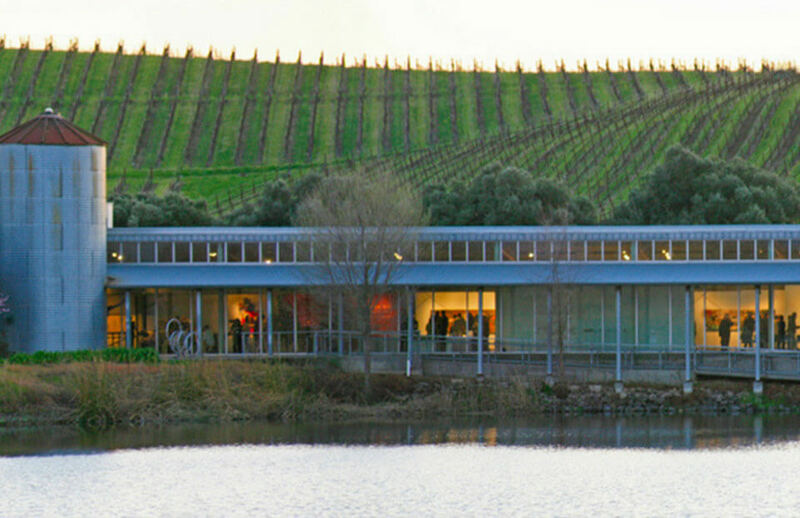 The terrace at Chandon is Napa Valley at its best. Surrounded by majestic and indigenous oak trees, tables are available for wine tasting. They offer many flights of sparkling wine, and a spread of nuts, cheeses and charcuterie that can turn a beautiful day in Yountville into a lifelong memory. Next we suggest heading across the valley floor to Goosecross Cellars who take inspiration from the land and fruit they farm and grow, expressing their passion in the wines they craft. Goosecross was founded almost 50 years ago on the State Lane Vineyard, and proudly honors the pair of geese that made the estate their home. This independently owned winery has grown and evolved through the decades, and still takes great pride in giving the vineyard a voice. Planted to Cabernet Sauvignon and other traditional Bordeaux varieties, the ideal soil and climate conditions at Goosecross produces wines that speak to the unique terroir at the State Lane Vineyard. The Viognier is a perfect summer wine, and seems to taste even better when sipped on the newly built patio. Less than a year old, a completely new tasting room at Goosecross is a blend of modern style and rustic charm. Owner Jean-Charles Boisset has had the Midas touch in California's wine country for some time now, and shows no sign of stopping. With every foray building momentum, his most recent endeavor, Atelier by JCB in Yountville is captivating. This epicurean boutique in the heart of the Napa Valley features a curated assortment of culinary treasures. The elegant selection ranges from locally produced discoveries to old world classics from the best international producers around the world. Drawing on JCB's incredible global network, salts and spices, Fallot mustard from Burgundy, local honey, Napa Valley olive oil, smoked salmon, truffles, foie gras, prosciutto, local and international cheese and specialty teas from Mariage Frères are just a few of the many treats to be found at Atelier by JCB. No one can say it better than Jean-Charles Boisset can. Here he is in invigorating mood on the opening day of Atelier by JCB in Yountville.